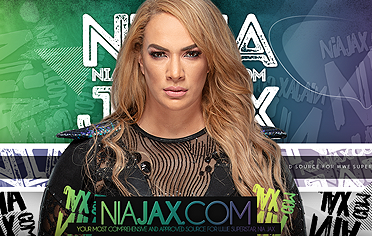 Munich – German-born wrestler Nia Jax is on tour with WWE. At SPORT1 she speaks her roots, her prehistory and Tim Wiese. The wrestling stars of WWE are starting today on Germany tour – among them: an aspiring power woman with German roots. 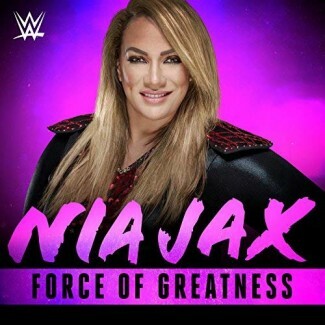 The 109 kg Nia Jax has a German mother and is also a member of the legendary Samoan show fighting family. The 32-year-old Hawaiian was formerly a college basketball, bodybuilder and oversized model, before her famous cousin Dwayne “The Rock” Johnson inspired her to become a wrestler herself. SPORT1: The Germany Tour is also a journey to your personal roots. Jax: Yes, my mother was born and raised in Germany, near Hamburg. My grandmother (Jax says “my grandmother”, note of the Red) still lives in Germany, also many other relatives, in Bavaria and elsewhere – my grandmother was one of eight children. On the last tour in Munich, my German family was in the audience and saw their first wrestling show. SPORT1: Another part of your relationship is the great Samoan wrestling family. Dwayne “The Rock” Johnson is your cousin. How close is the gang? Jax: Dwayne is not only part of the family, he is also one of my best friends and mentor, he inspired me to become a wrestler myself. We have a close relationship, I talk a lot with him, he is a great person and a hero for me. SPORT1: At the aforementioned show in Munich, Tim Wiese also made his debut match for WWE . How did you find it? Jax: It was cool to watch. Tim Wiese had no easy task to compete as a star of another sport a WWE match. He did it well and when it was over, we all came to him in the backstage area and congratulated him. SPORT1: He is not announced for the start of the tour. Do you hope he’ll come back? Jax: You have to see that. If he does not enjoy it, he should not, but if he does, he is definitely well equipped, he has shown. SPORT1: In the past, some wrestlers have also risen against men in the ring. Would that be for you? Jax: I would not mind. I am strong and I can take care of myself. My father used to play basketball, football and baseball with boys as a kid. It has helped me develop my sporting ambition. I grew up among guys and got along well with the guys at WWE, even behind the scenes. SPORT1: Her motto at WWE is “I’m not like most girls”. This has a personal history, which is also related to your previous career as an oversize model. Jax: Yeah, it’s my heart. I grew up with my Samoan-German origin differently than many others, I also look different, I was always big and strong, not like the thin, pretty models on the magazines. When I myself came to modeling, I realized that I am also beautiful in my way and others can see. And that I am athletic and I could fulfill my WWE dream, I finally also noticed. And that is the message I now want to send to the young girls, who are themselves different, that they can do it. SPORT1: In WWE, jokes were often made at the expense of wrestlers who did not correspond to the classic beauty ideals. Do not you fear that this will happen to you? Jax: Oh, you know this is part of the job, so I have no problem. The WWE viewers are loyal fans, they can love, hate, mock, I know they have respect for me.